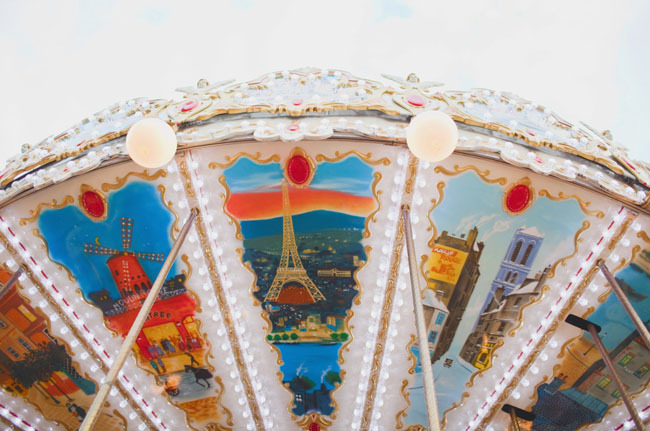 Kim + Jeremy got engaged in Paris and totally fell in love with the city – I totally get that, Paris puts a spell on you :) Being so taken by Paris, it was Kim’s dream to find a quiet part of the city, away from the hustle and bustle, for their elopement. 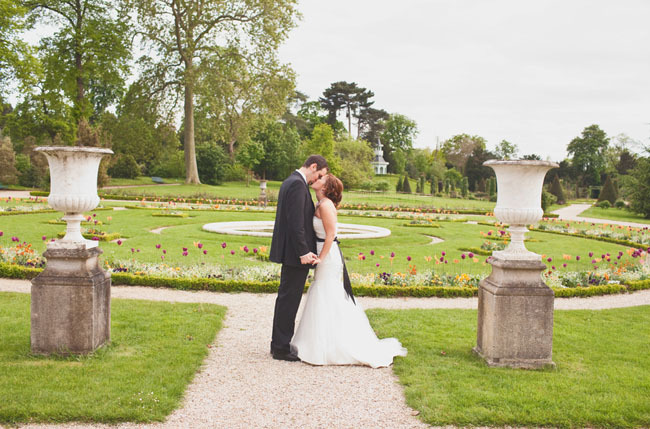 After some research, she decided that the Parc de Bagetelle was the ideal location! Kim didn’t know exactly where in the park they’d have the ceremony, so they winged it and everything turned out perfectly! 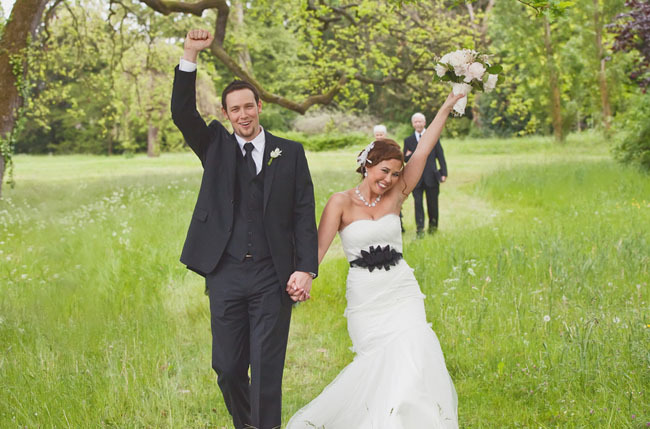 On your wedding day, sometimes a bit of improvisation is what’s needed to make everything just right. 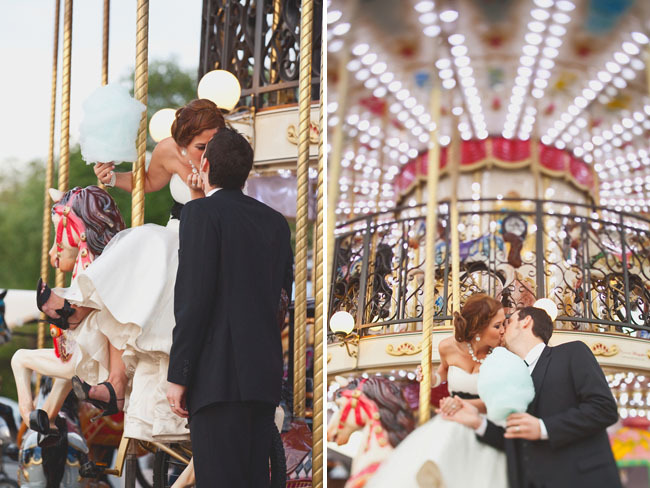 Such a sweet + magical wedding! Thanks so much to Papered Heart Photography for sharing the photos! To any bride thinking about a planned elopement; two words...Do it!! 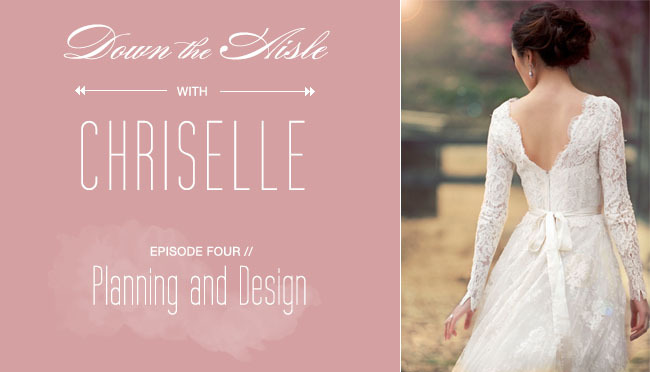 I was able to stay sane while planning it and enjoyed the whole process. Remember to enjoy the time and soak in the beauty and experience of a different local. Also, hire people you know see your same vision, because then you don't have to explain it. My photographers were my best decision. Their work doesn't need explanation, they just get it. Surrounding yourself by amazing people = an amazing experience and pictures! One word – amazing! 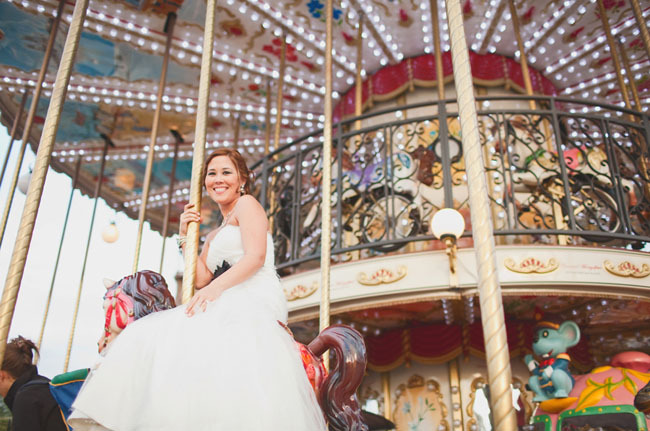 The greenery is beautiful and love the carousel. I freaking LOVE THIS. So beautiful! 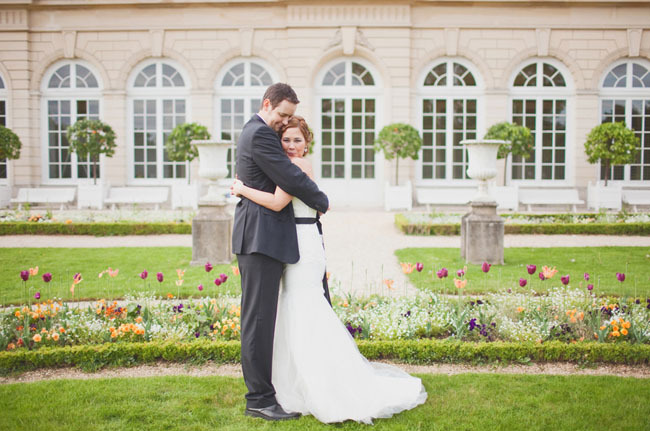 Who could pass up a chance to get married in Paris? How incredibly romantic! Just a little reminder for everyone thinking of doing this, it’s not legally binding at all. It’s a religious blessing. I live in France and everyone here cares about the legally ceremony. As an American I was shocked; signing the papers at the town hall was always something I think of as being done the day before/after with no one there, I learned quite quickly that my husband’s uncle, cousins, college friends, and childhood neighbors all expect to be invited and watch us agree to various sections of the french civil code and sign a document to that effect. Your ceremony and pics look wonderful, but even the religious blessing requires you to be married before the ceremony here (or at least our church did). such a beautiful day captured. 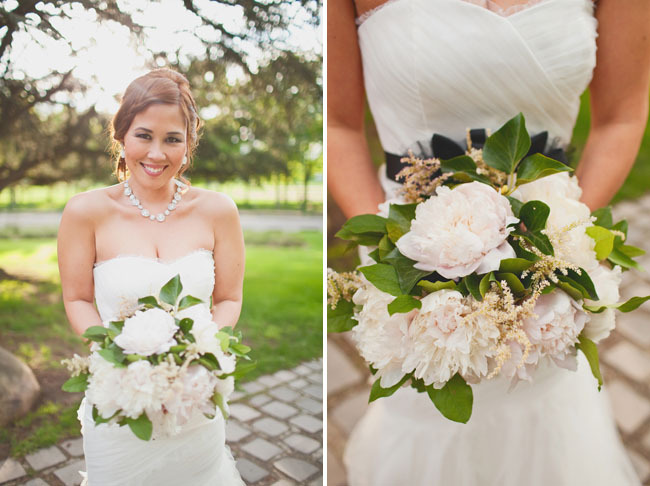 loved her bouquet! Big heartfelt thank you for featuring this ultimate Parisian wedding of Kim and Jeremy and for sharing our work again with your community! beautiful wedding! lovely ! congratulations … the ones from the Eiffel tower are to die for ! 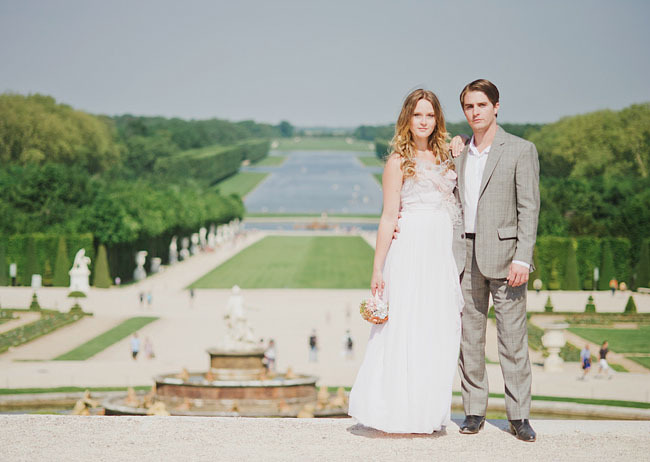 Is there anything more beautiful then eloping in Paris?! These photos are stunning! Absolutely beautiful! Awe thanks for all the comments everyone! We had an amazing time. We had a simple ceremony before we left in the US and then went to Paris for our family ceremony! It was soo amazing and we couldn’t have picked better photographers for the journey! To any couple I highly recommend leaving the stress behind and embracing your dream wedding with a few people you love most! Thank you! 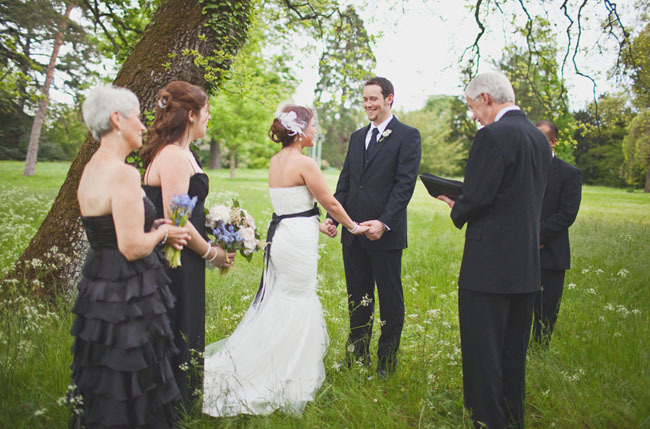 This has to be one of the simplest yet most beautiful weddings I have seen in a long time. (This coming from a person that spends most of her work time looking at blogs about weddings, answering questions about weddings and attending lots and lots of them.) Paris in itself is already such a romantic city. Ever since I was a little girl I associated Paris with beautiful fashion, famous architecture and of course lots and lots of romance. The great thing about the venue for the ceremony was that they didn’t have to do a lot of decor or change. The setting was already so beautiful that all they had to do was show up and add some love to it. 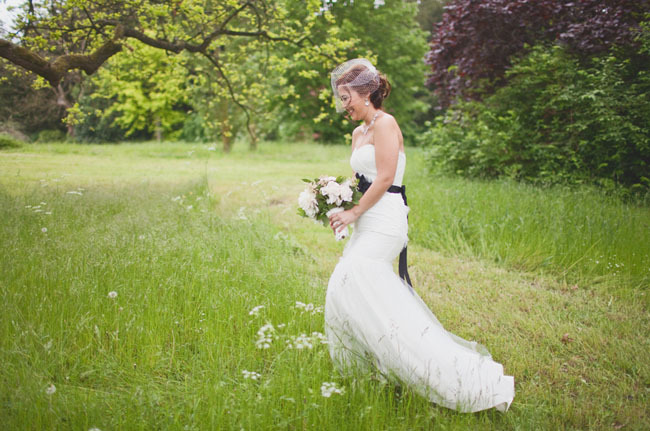 The bride looked stunning in her dress. 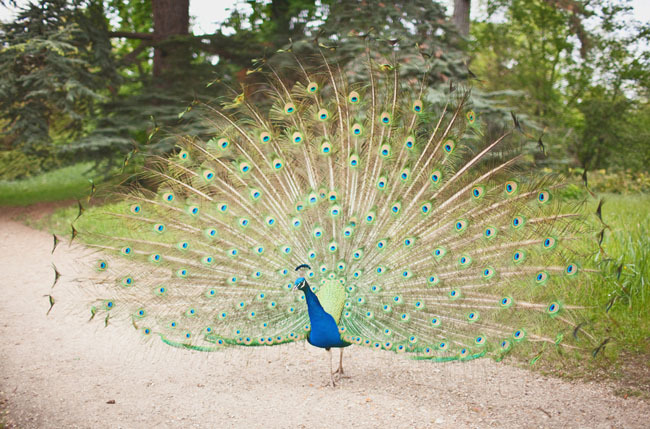 It suited her body type and it showed sexiness yet grace. I love the fact that his father officiated the wedding. It really adds a personal touch to the ceremony. 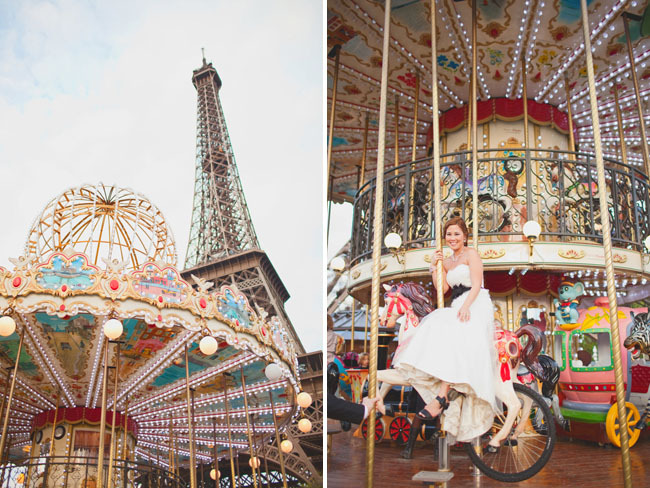 My favorite part has to be the carrousel and the bride’s explanation of how she felt while riding it. 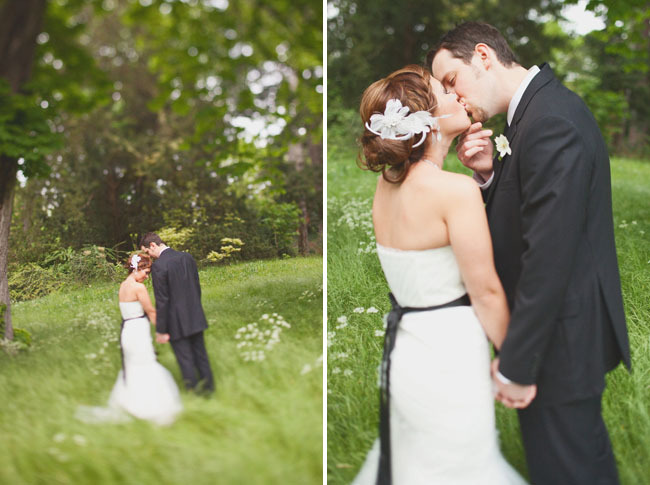 It is such a beautiful ending to one of the most perfected weddings I have seen. Special Kudos to the photographer, some of those shots are truly breathtaking. 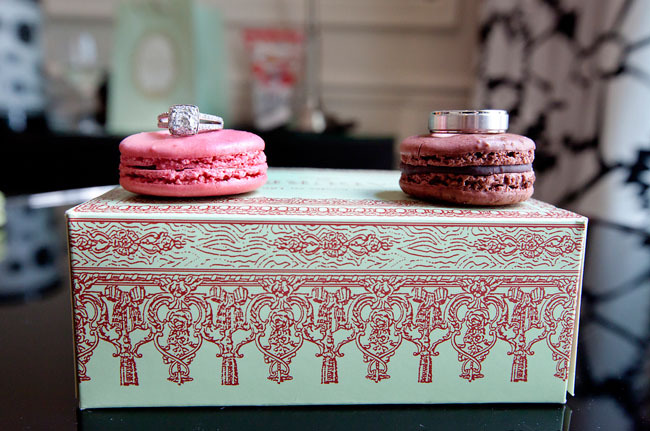 Also kudos to the vendors as well as GreenWeddingShoes for the post! 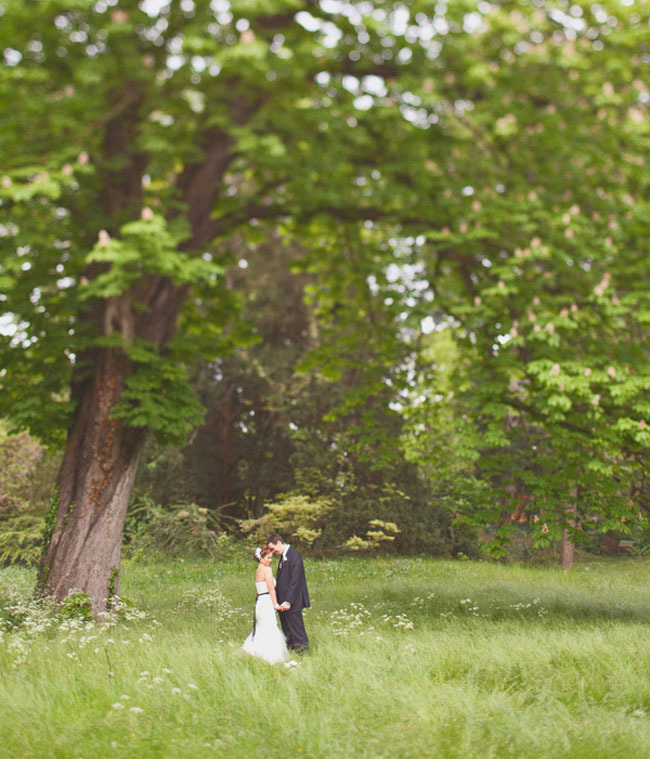 That field and tree was DIVINE, loved this! Love this city. Great photos. There is so much happiness on these pictures. 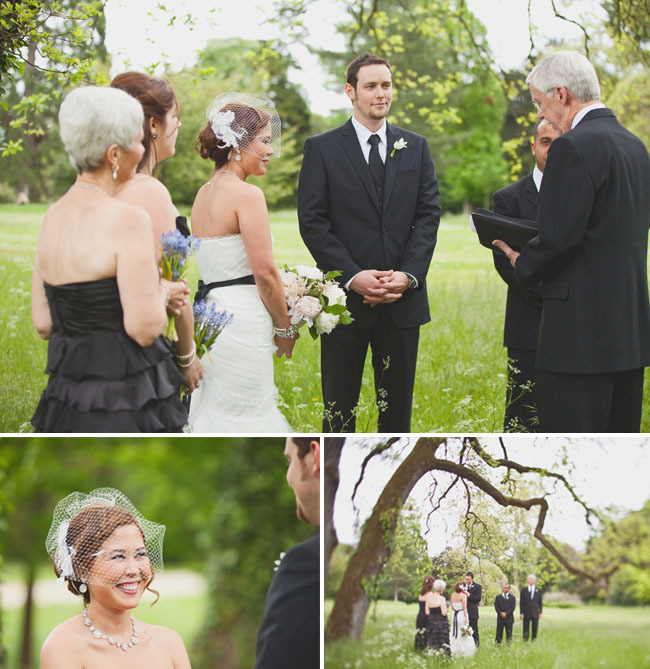 And it was a beautiful choice – to celebrate a wedding in the circle of only the dearest people.